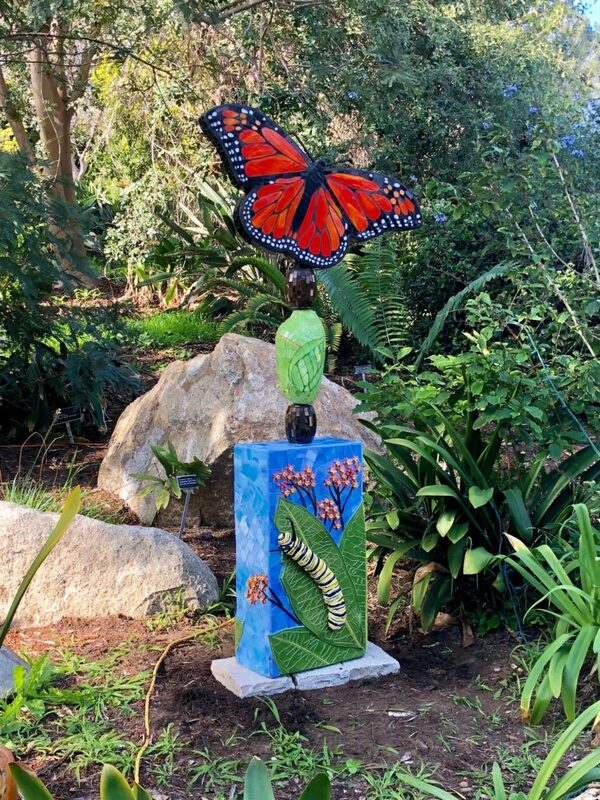 In this action packed three day workshop, you will learn an amazing variety of skills to create a beautiful 3D sculptural flower for your garden. I will be demonstrating how to use a jigsaw to cut various thicknesses of wedi board, how to prep the wedi board for outdoor use, and how to prep your piece for inserting a pole for installation. 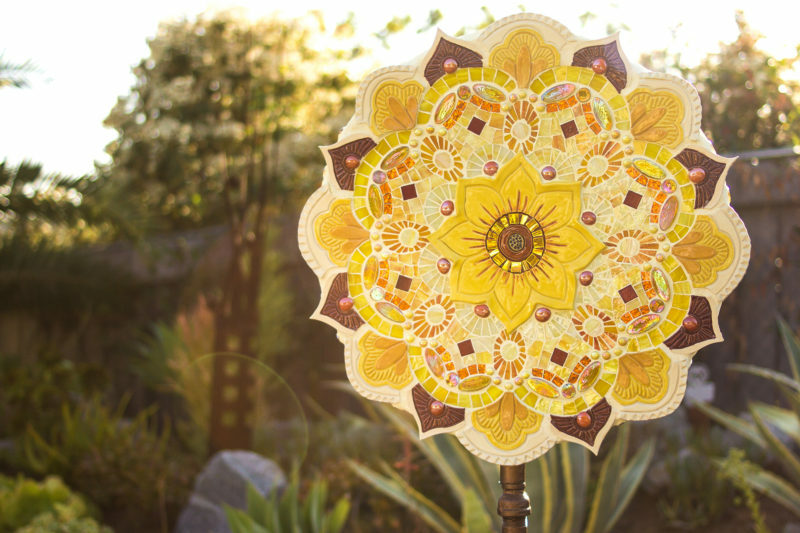 You will learn how to use sticky mesh for completing your flower design, how to cut glass, and how to add dimension to your mosaic to create a beautiful center for your flower using cut glass and glass rods. 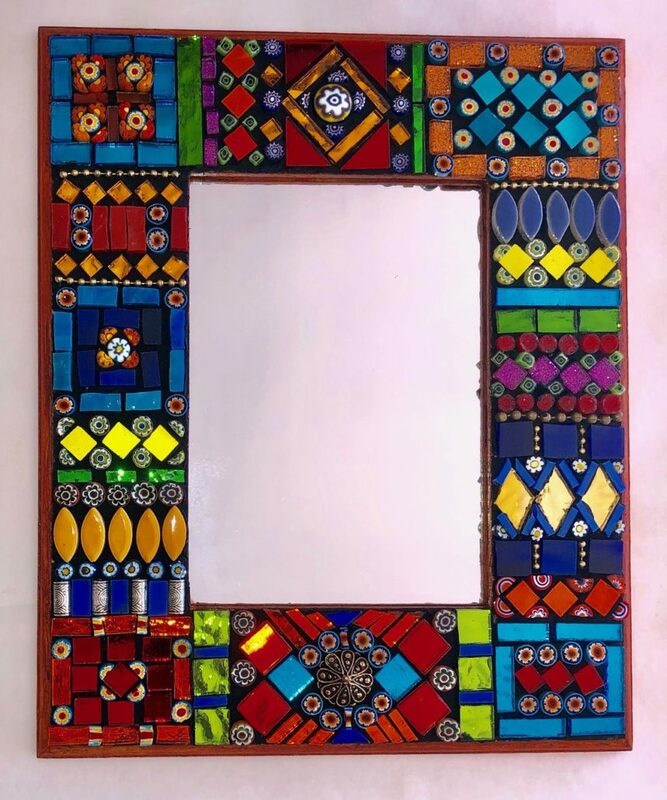 A rainbow of stained glass, glass gems and ovals, glass rods, mirror in a variety of colors and millefiori will be available for you to use. 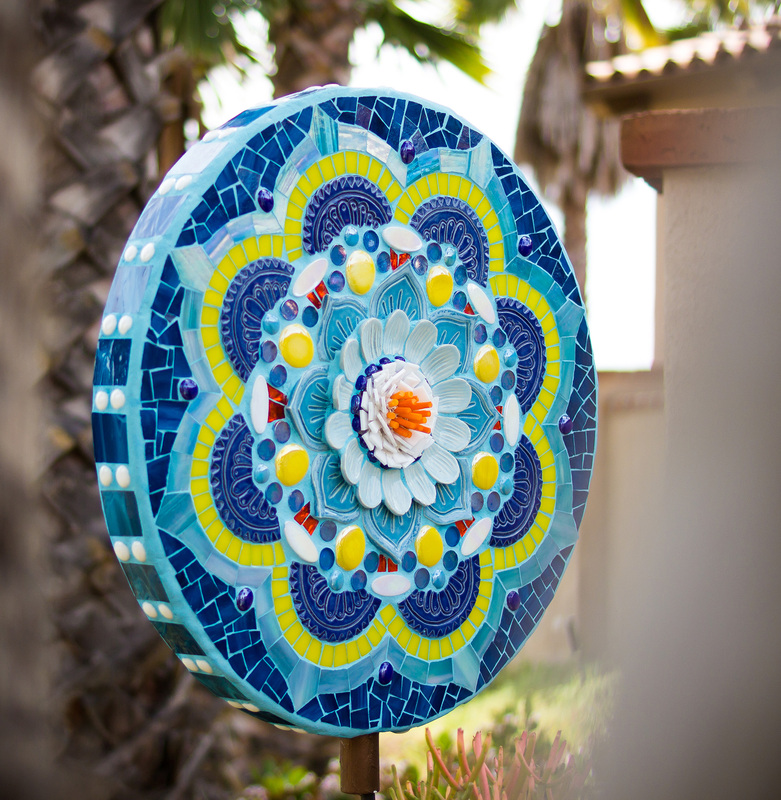 Your piece will be mosaicked on the front, back and sides and then you will learn to custom color your grout to complete the project. Once you are registered, you will receive an email from me to select your choice of designs and color combinations. *I will be bringing my signature handmade ceramic tiles for you to purchase should you choose to use them. (Otherwise all other materials will be provided) There will be many other tiles available should you want to purchase more to take home. On Sunday, I will be demonstrating how I create my tiles for those who are interested. There will be a question and answer session afterward for explaining firing and glazing. This workshop is open to students of all levels. Although some mosaic experience will be helpful, it is not necessary. Skills learned can be used and applied to future projects, both large and small-scale for indoor as well as outdoor applications. 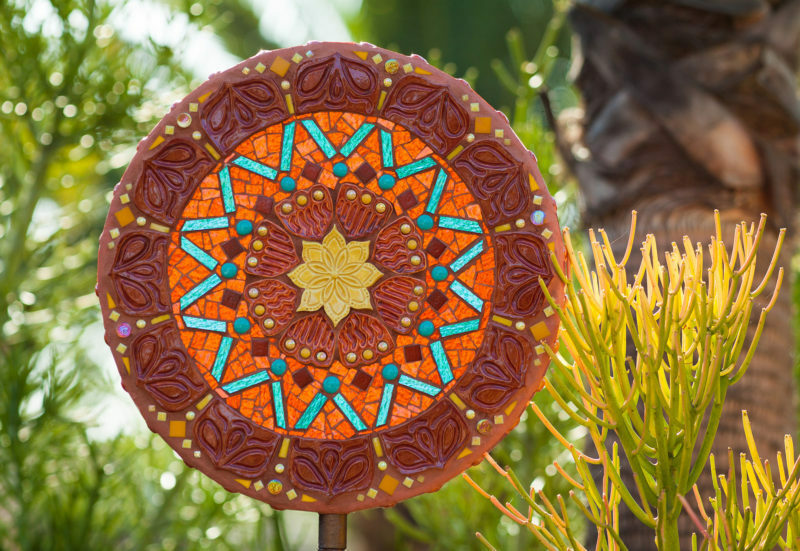 Marsha makes custom pieces for homes, gardens, and large scale commercial projects. Click below to learn more about how to request a consultation.